On February 2nd 2016 at Worthing Rugby Club, Clear Computing will be proudly presenting the 3rd annual “Clear Computing Schools Challenge” for schools. The challenge this year is “To build an app or social media platform for young people in education”. After recent news showing the rising concerns of teenagers online being caught up in cyber bullying and inappropriate comments on social media, we thought it would be the perfect opportunity to hear from teenagers on how they would design a social media platform for teenagers, with consideration to these issues in mind. 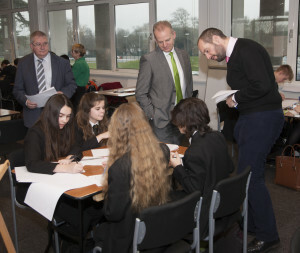 We have invited schools throughout Sussex to come and take part in the challenge. In their teams, they will put their ideas together with consideration to fields such as design, functionality, finance, security and marketing and will be mentored by experts in these fields. 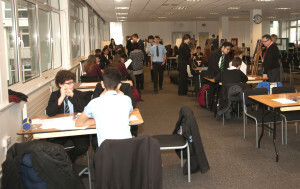 Once they have developed their ideas into a presentation, they will propose their ideas to the experts on a judging panel, based on TV’s Dragon’s Den. The winning team will then be decided by the judges, and the following week on the 9th February (Internet security day) the winning team will have a mystery prize presented to them by a special guest at their school. This will be a very exciting and fun day for Clear Computing and we are excited to hear and learn the views of school pupils of the social media generation. 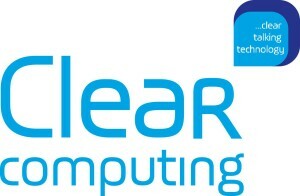 Without our experts , the challenge would not be possible, so at Clear Computing; we would like to thank these companies for kindly providing a representative from their company. When there are changes in your circumstances, such as starting a family, changing jobs, starting your own business or receiving an inheritance, a focused review of your financial plans and goals is crucial. As a Senior Partner Practice of St. James’s Place Wealth Management, my focus is on you and on achieving and maintaining financial security for you and your loved ones. With core values of excellence of service, trust and above all, integrity, I will provide you with financial advice and wealth management solutions to meet all your needs both now and in the future. 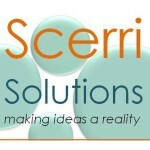 Scerri Solutions was set up by Jacqui Scerri after being made redundant in 2011 using experience gained in working with a range of businesses and educational establishments. Having worked in a variety of industries, including travel, retail, hospitality and education, Jacqui now works with organisations of all sizes to help make their ideas a reality. Specialising in partnership working and relationship management. Experienced in producing resources and qualified in delivering teaching/training courses. From helping out when you need an extra pair of hands because you just don’t have the time to full project management. We are a member of the Royal Bank of Scotland Group (the Group). For information about our Group of companies please visit www.rbs.com and click on ‘About Us’, or for similar enquiries please telephone 0131 556 8555 or Minicom 0845 900 5960. LWS Marketing is a full service marketing agency located in Arundel, West Sussex. They provide strategic marketing and planning which will increase awareness of your brand, encourage engagement and essentially improve your sales. The team of experienced marketers deliver professional services such as outsourced marketing, marketing communication, digital marketing, graphic design and website design. LWS Marketing strives to be a partner for growth to ensure that businesses can get to exactly where they want to be. The company has ISO 9001, ISO 14001, 23001 and ISO 27001 accreditation and is a Microsoft Partner as well as having the ‘Buy with Confidence’ accreditation with Trading Standards. We have clients in Education, Corporate and SME businesses, Micro Businesses and Home Users as well as the Retail Trade. At Vantage Professional Risks we consider ourselves to be “professions” specialists , offering our client advice and expertise across their whole portfolio of insurances not just their PI. As part of our service we will review a client’s needs and exposures and not only consider how these are met by the insurances recommended, but how the insurances can work together to give the best possible protection. Through our wealth of knowledge, expertise and long standing relationship with the insurance market we aim to deliver every client a high quality and specialist customer-orientated service. Marc Burrage is a Senior Project Manager at D3R, who designs, builds and manages websites for clients such as Dualit, Loaf, Monica Vinader, The Wolseley and Original Travel. He has worked in the IT industry for the past 12 years, both as a developer and as a senior manager. Marc also volunteers for a Code Club, providing children of school age with an introduction to computer programming. Brightec – A technology company specialising in user focused, bespoke mobile app development. We build apps that help your ideas come to life.